Gorgeous photos! I’m glad you did give gardening a go. 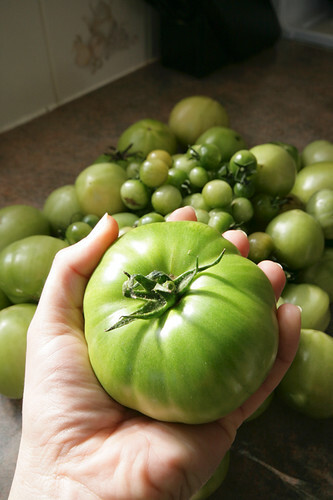 What tomatoes do you grow? Thank you and hello! I can’t help myself with gardening. I think it’s in the genes – my Dad has always kept a veggie patch and I was out there helping him when only a wee thing. This year I’ve grown Snow White and Black Cherry varieties: both cherry tomatoes. I’ve got a couple of red varieties that came up by themselves too, though I’m not sure what they are. Last year I grew grosse lisse, red cherry and… something else I can’t remember that produced an astonishing mount of beautifully firm fruit right up until the first frosts. My favourites? This is a great question, because it has been so many years since I’ve had a real garden, I can hardly remember. But this year I have the space to grow pretty well whatever I want. I love herbs, but my favourites to grow are the ones that taste wonderful fresh but are much less interesting dried: lemon balm and tarragon come immediately to mind, also lemon verbena, pineapple sage and rose geranium. In the vegetable category it’s the ones that taste so much superior when you pick them and eat them immediately: peas and sweet corn (though I probably won’t grow sweet corn this year because it is so demanding of space and the raccoons are likely to raid it). 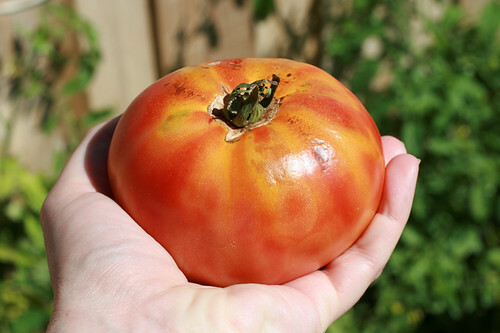 I never even liked tomatoes until I grew them myself as a teenager. Until very recently I refused to eat winter tomatoes, but now I find some good local greenhouse tomatoes are turning up at farmers’ market. I buy them as much to support local agriculture than for any other reason. 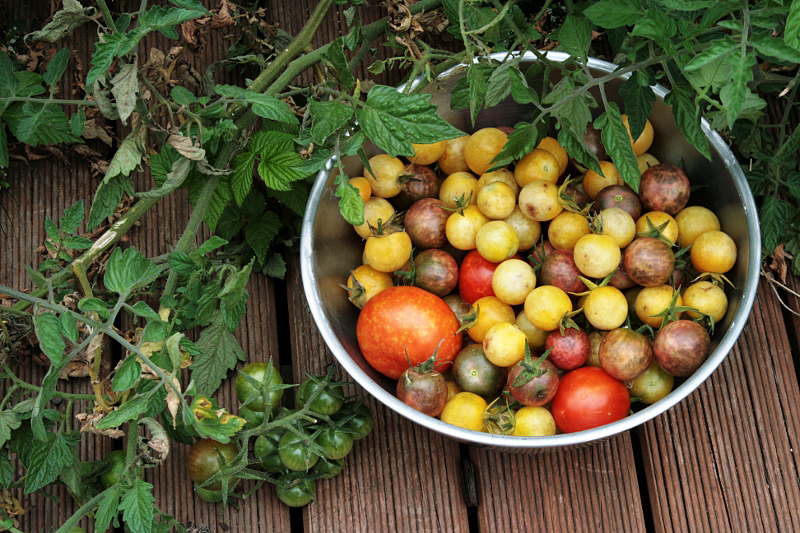 I do look forward to heritage tomatoes from my own garden. Hmm, you’re giving me ideas for new herbs to try! I’ve not grown any of the ones you listed (I did try growing lemon balm once, but it was swiftly destroyed by garden critters who found it rather tasty. That was in Brisbane though: I might fare a little better down here). I love peas, but they don’t grow in pots. If I get the property I looked at today (which has an excellent garden, though the house itself may be a bit chilly) I’ll have space for peas and beans, which is very exciting! How much of a problem are raccoons for the average Canadian gardener? Here it’s possums, wallabies and (feral) rabbits we struggle to keep out.